The FBI believes a third person may have been involved early on with a terrorism plot to attack an unidentified university outside of Massachusetts. 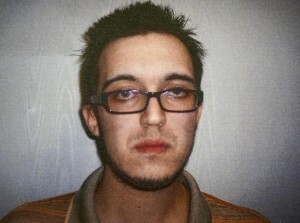 A cooperating witness told authorities that Alexander Ciccolo had discussed the terrorism plans with another person, the Boston Globe reports. “There was a brother who wanted to be involved a while ago and he has not been responding to my messages,” Ciccolo, of Western Massachusetts, told the witness, who gave copies of the July 1 online conversation to authorities. Authorities are trying to get access to Ciccolo’ online Skype account in hopes of identifying the third person. The cooperating witness initially alerted authorities to the alleged plot in June 2015 and agree to provide weapons to Ciccolo as part of a sting operation. Ciccolo also is accused of building several Molotov cocktails and a pressure cooker to build a bomb. Posted: 4/4/16 at 8:58 AM under News Story.